Nothing is more important to the members of the Southern California Ford Dealers than customer satisfaction. One of the best ways to make a customer happy is by saving them money, so that's what we're doing with our Ford spring service specials. This saving bonanza will not only help your budget but will also get your Ford vehicle prepared for the long hot summer ahead. Let's take a closer look at all the Ford service coupons and savings you'll be able to find at a Southern California Ford service center near you. If you're looking to upgrade your tires or replace damaged ones, Southern California Ford Dealers are ready to help you out with a fantastic ford service rebates and savings. If you use your Ford Service Credit Card to make a qualifying purchase of $250 or more (before tax) you can get a $25 rebate by mail. This offer is valid until 6/30/18. 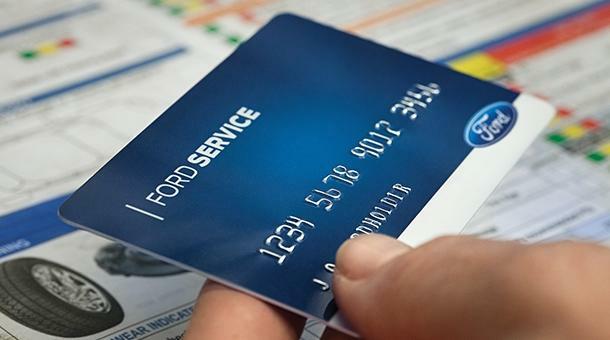 If you don't have a Ford Service Credit Card you can apply for one here. You'll also want to check out our Low-Price Tire Guarantee that covers all tires you might buy anywhere else. This outstanding 30-day price guarantee covers 13 major brands. If you drive a car, no matter the time of year, you need properly maintained brakes. The Southern California Ford Dealers work hard to save our customers money and keep them safe. That's why we're offering some outstanding Ford brake rebates for the spring of 2018. On top of these two great spring deals, you also get our Lifetime Brake Pad guarantee that covers all Motorcraft brake pads purchased after 7/1/14 and Omnicraft brake pads purchased after 7/1/17. Also, don't forget to come into one of our dealers and have your brake pads inspected free by one of our expert technicians. Some of the other great specials on offer from Southern California Ford Dealers include Motorcraft Premium Conventional Wiper Blades for the low price of $19.96 per pair. 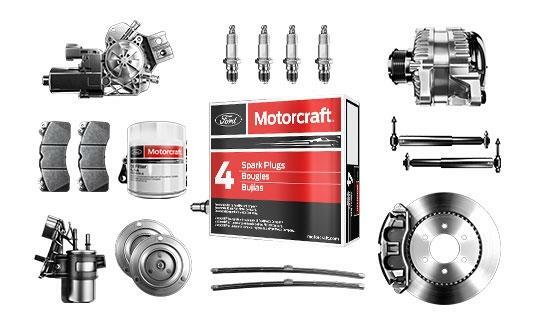 As always, all our Motorcraft parts are covered by a two-year unlimited mileage warranty. If that wasn't enough protection you also get the same unlimited two-year coverage for all Ford parts at our Ford service centers. To learn more about all the service specials Ford offers at each of our unique and highly-trained Southern Ford Dealers, please visit our website or contact us today. If you do visit one of our dealerships, make sure to also ask about the all-new Ford vehicles coming in this spring.